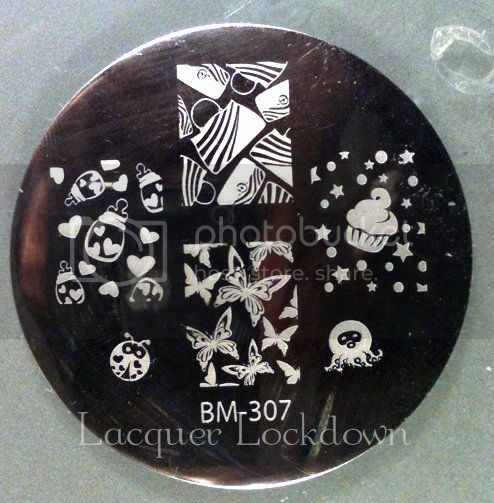 Lacquer Lockdown: Testing: Bundle Monster 2012 Plates Have Arrived! Happy Saturday! 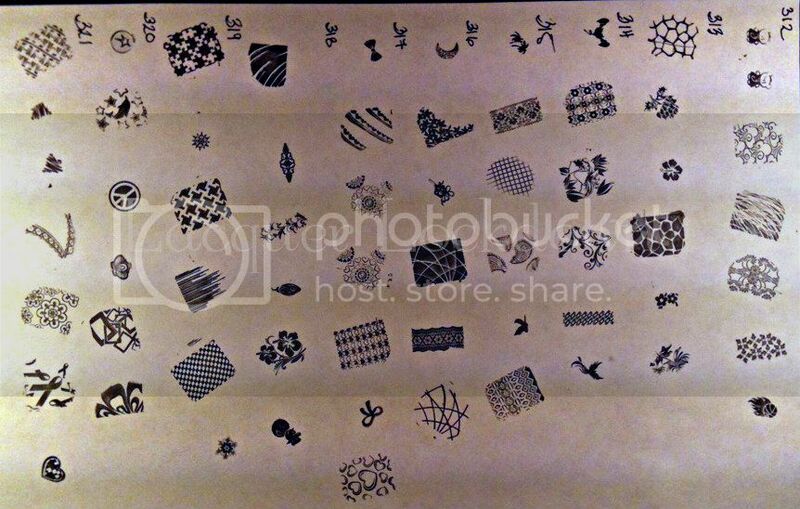 I have been on stamping rampage lately lol! As I'm sure everyone in the nail-o-sphere knows Bundle Monster has released their latest series of stamping plates this summer. I got mine a few weeks ago now, but still hadn't taken them out for a spin. I've mentioned before with the old series I had a few problems with some of my plates not stamping out the images correctly because the grooves were too shallow. I subsequently had those plates replaced and had no issues with the second series. 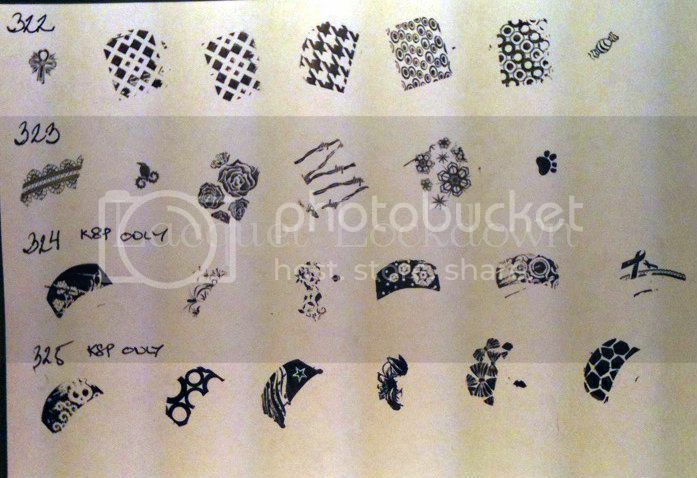 However, I've been reading here and there that some other ladies were having a few issues with some of the images on the newest set so I just decided to quickly stamp out all of the images onto paper to make sure I was good to go and decided to post the results below. I used Wet N' Wild Black Creme to stamp these out unless otherwise noted on the page as KSP in which case I used Konad Special Polish because of difficulty picking up the images with the Black Creme. 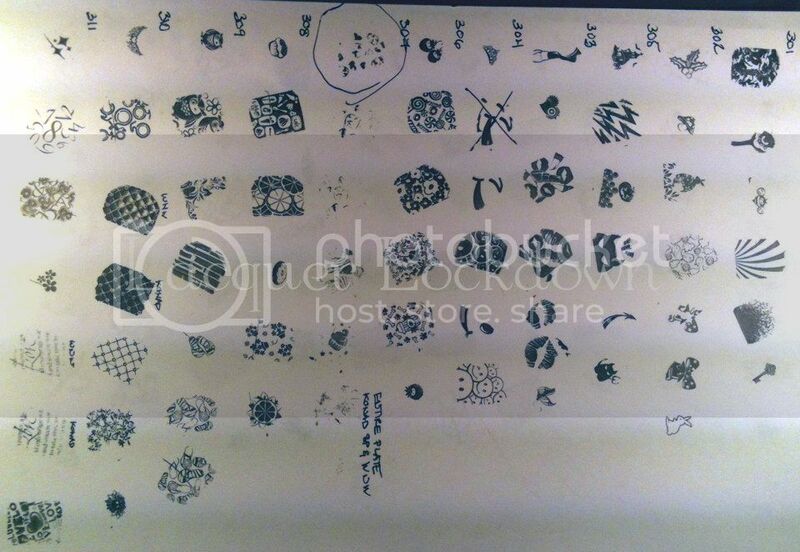 As you can see most of the plates stamp very well which is what I expected. 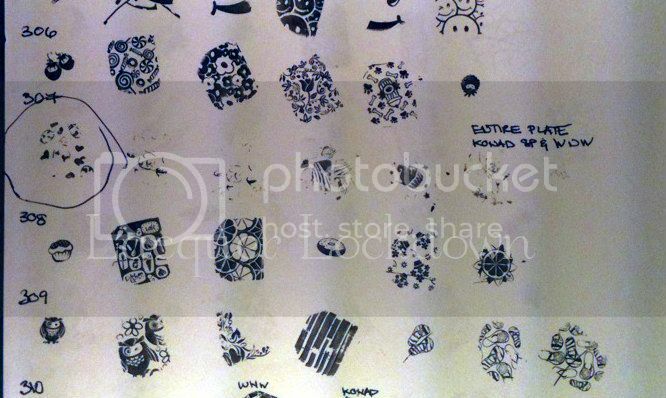 However I did have a problem plate, BM307, which was too shallowly imprinted and so none of the images transferred despite using Konad Special polish instead of the Wet N' Wild Black Creme for stamping. Close up of stamping QC for 307. I was so shocked I kept stamping and stamping but nothing would transfer for the entire plate. Plate in question which was too shallowly engraved when made. Bummer cause look at how cute the images are on this plate! I'm a little disappointed to see this for sure and of course I'll be contacting Bundle Monster/Amazon for a replacement. However, overall I'm happy with the plates. Sometimes these things happen and that's why I started QCing my plates. I still think Bundle Monster plates are a great value for the number of images and options you get and recommend them highly as an addition to all the avid stampers out there. If you're interested in purchasing the new series you can get them here on Amazon or go directly through Bundle Monster to get them as well. Either site has excellent customer service so no matter where you order any issues you may have will be addressed with professionalism and expediency. I wonder if this was helpful at all to anyone? Please let me know if you like this kind of thing for the future as I do frequently order stamping plates and I always do a QC check on them just to make sure it's money well spent. Thanks for reading and see you next post! Oh thank you sweets! I'm glad this was actually useful to someone. As I was doing I felt a bit silly but honestly it's a hassle to discover your plates don't work properly well after you've bought them. Awww hun! That's terrible! I don't even know if its worth it to continue stamping out plates at that point. It sounds like you got a bad batch for sure and 25 is a lot of plates to stamp out to have only 1 or 2 working properly. They need to just send you a new set entirely.